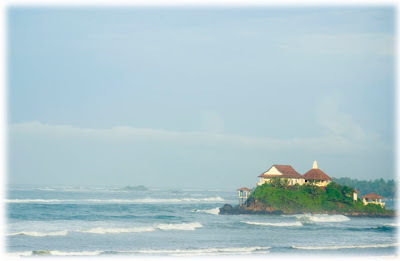 Tuesdays and Wednesdays, I was in Matara district in Southern Sri Lanka. This year, Sarvodaya USA has committed to support Sarvodaya Matara District activities, especially their core budget. It was an opportunity for me and district staff to discuss the priorities and how we could work together. Most of my time was spent in discussing about the program activities for 2007/2008 year. 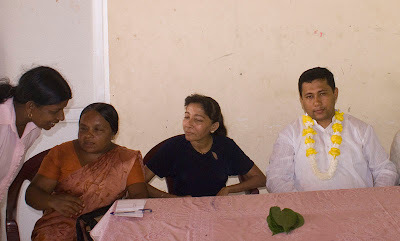 In between, I was also able to visit to villages where Sarvodaya USA is developing Village to Village networks, a program that would connect communities in the US with villages in Sri Lanka. As our first projects, we are working to develop pre-schools in these villages supported by groups in the US. In the villages, I received an warm welcomed, spoke with the villagers and listened to their plans. It's amazing to notice most of the village level Sarvodaya Society members were energetic womens in both the villages.